The 4x8 aluminum sheets for sale is a common specification on the market, the common thickness is 1mm, 1.5mm, 2mm, 3mm and 4mm. The standard specification is 1.22m*2.44m.The common used grades in 4x8 aluminum sheet are 1050, 1060, 1070, 1100, 2024, 3003, 3004, 3104, 3105, 5005, 5052, 5083, 5086, 5454, 5754, 6061, 6063, 8011 and so on. The application of the 4x8 aluminum sheet is also wide in industry like construction, transport, vehicles, printing, electronic, energy and so on. Thus, it is very important to check the product quality of 4x8 aluminum sheet. 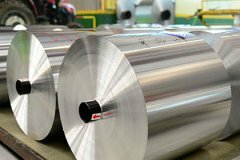 Here are the analysis of the key points of purchase the aluminum sheets for sale. 1, check the aluminum sheet by look at it, make sure the aluminum surface is smooth, there is no ripples, bubbling, shelter or scratches. 2, check the aluminum sheet by measurement, measuring whether the thickness tolerance of aluminum sheet plate meets the requirements. 3, check the aluminum sheet fold, fold a corner of the aluminum sheet 4x8, the high quality product is not easy to break. 4, ask for the 4x8 aluminum sheet manufacturer for quality inspection report, quality assurance book, ISO-9002 international quality certification, only manufacturers with these certification are regular and can guarantee product quality of 4x8 aluminum sheets for sale.